Super Fred 3627 Green Need Help? Super's Fred is a unisex silhouette inspired by 1990's street style interpreted with a raw contemporary sensibility. The model is characterized by a sculptural profile with its sharp angular lines; features include paddle style temples made to comfortably contour the wearer’s head. 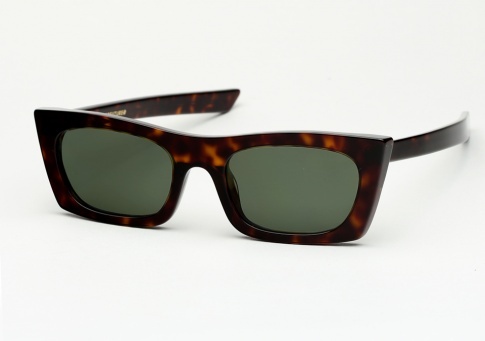 It is offered here in a rich havana acetate paired with bottle green glass lenses.